Museums at Night is the annual after hours celebration when hundreds of museums, galleries, libraries, archives and heritage sites open their doors for special evening events. 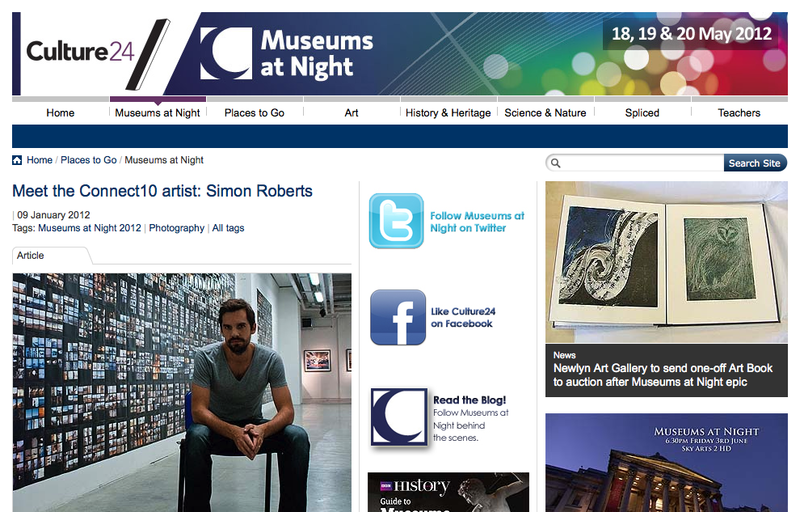 Culture24’s project for Museums at Night, Connect10, matches ten contemporary artists with ten museums and galleries for a series of special one-off Museums at Night events over the weekend of May 18, 19 and 20 2012. The list of Connect10 artists venues can vote for includes Bob and Roberta Smith, Susan Stockwell, Martin Parr, Polly Morgan and Ryan Gander. And yours truly (read more here). Closing date for entries is January 31 2012 and if you’re a museum you can enter the competition via this simple application form. Read the Connect10 venue terms and conditions. Go to the full list of Connect10 artists.